As I continue my search for work, I get lots of e-mails from various job websites. Some of the leads they send me are right in line with my skills, others are not. I’m not sure about the one I got suggesting I go work at Hooters. Anyway, when I see ones looking for online English instructors, I usually click through. I have been teaching online for about ten years now, so I’ve got the experience. However, more and more, the posts specifically ask for a PhD, which I do not have. This development says a lot about the state of the current job market for academics. 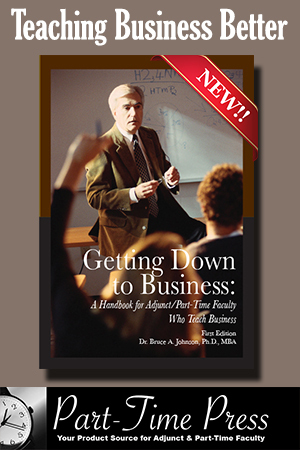 Adjunct teaching used to be the domain of the MA degree. We couldn’t get full-time work at most schools, but there were lots of part-time opportunities. If these online schools can insist on having a PhD, then there must be a lot of them out there looking for work. 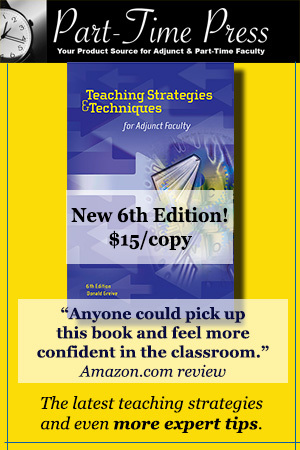 In my experience, online adjunct pay is worse that teaching in a classroom. I wonder how long it will be before the schools I currently teach for change their policies to require the PhD for adjuncts as well. Will my experience and history with them count at that point? I wonder. Of course, the easy solution, some would say, is for me to get the degree I lack, and I would love to. I have longed for a PhD since I finished my MA degrees–I have two. But life kind of got in the way, and, at the moment, I cannot justify more student loan debt–a lot more–to get it. It would be interesting to see if these schools get applicants; I have to imagine they do. And if those applicants are PhDs without a full-time position or ones looking to supplement their salaries, which tend to be not that great, especially in the Humanities. I imagine they are filling their positions, since I don’t see the jobs re-posted accepting MA degrees. In the meantime, I will hope that the couple of schools I currently teach at will continue to have me. I have been an adjunct for 9 years and it’s a dead-end job. I have two master’s degrees which is more than some of the full time faculty at the CC where I work have, and I’m still looked down upon. I put my heart, soul, and dedication into my teaching, and I give so much of my time to my students, but I will never be considered for full time, and of course I have no benefits. Adjuncts are required to attend some things and expected to attend others, and I rarely attend anything I don’t have to. Why? Not because I’m not interested, but because we’re treated with disrespect and disdain by full time faculty and administration. I’m also too old to look for other work so I’m stuck, but where I used to want to wait past my retirement age to retire, I can’t wait for it to get her now. Now a lot of colleges want Ph.D degrees to teach undergraduate students, which is ridiculous. This requirement is knocking out those of us who worked so hard for our master’s degree(s) and went into a lot of student debt to earn them. Academia for adjuncts has become such a circus of unfair and uncaring treatment that I’m getting more discouraged every day. The humanities have been over bloated for years, no masters has gotten a full time job at my C.C. for years, its just how it is. I never understood why anybody would pay to go to grad school, its free in the sciences because we teach for less money than adjuncts, but its good experience. humanities is one of the most popular fields of unemployed degrees in the world…just pick something else, accept you made a bad choice, move on…. its not only frustrating but belittling when colleges/universities require that adjuncts compete for a position at there facility via a practice instructional show. I feel awkward having to do a performance of teaching in front of the full-time faculty and other candidates striving to retain the same job title I hope to achieve an Adjunct English Instructor. Not only is my intelligence being challenged but also ridiculed if I make a mistake in pronunciation due to being a nervous wreck. How can a college or university expect candidates to teach a complete lesson in twenty minutes and be effective? What could the faculty possibly be looking at in terms of hiring? For the most part, I feel like a specimen or spectacle of some sort under one condition to win the battle of wits. This is a page right out of my life. I don’t know why these institutions are asking for Ph D’s for positions that are not what a PhD would want. Even at the Community College level here in the East they want PhD’s. Why? 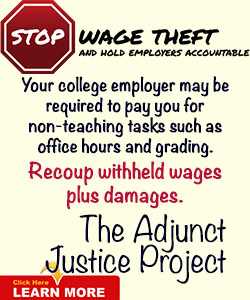 It gets very frustrating and it is also the reason that you can see an increased wave of adjuncts begin to unionize. I would like to join the adjunct teaching world. I would like to join the adjunct teaching world. Do you have any advise as to how to jump in? I am currently enrolled in a PhD program online and have of course incurred another big debt that I would like to begin to work down. I totally agree with your blog although I am not an adjunct professor, I really would like to become a full-time university professor. I am very afraid of getting into more debt and being denied because of my MBA. All of the blogs I’m reading about even PhD’s having hard times are scary and simply pitiful. The only way to allow financial growth is to become business owners. It seems as if degrees aren’t being respected anymore. 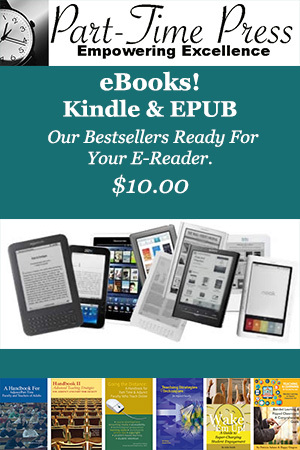 We must start somewhere….